NEW YORK, March 6 (Reuters) – Asian gold-backed exchange-traded funds (ETFs) added more tonnes in February than North America and Europe, reversing its 2017 trend of having more flows out, the World Gold Council said on Tuesday. 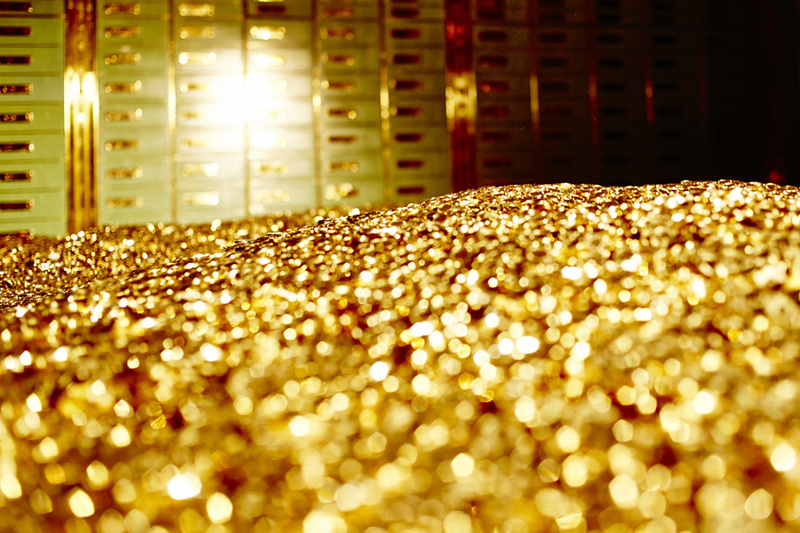 Asian-listed gold ETFs added 7.9 tonnes worth $318.1 million. This was an 8.3 percent increase from January. "We've seen overall investment demand pick up in Asia, particularly in ETFs. This highlights the robust gold demand from emerging markets, as well as the increased accessibility to, and interest in, ETFs in these regions," said Adam Perlaky, who works in investment research for the World Gold Council. North American gold-backed ETFs lost 5.1 tonnes worth $196.2 million, following the price of gold, Perlaky said. This was a 0.37 percent loss of its total assets under management. "The recent volatility in the market and in gold prices is likely leading to outflows in the U.S. in the past two months," he added. Gold prices dropped 2 percent in February, as the U.S. dollar strengthened and the new U.S. Federal Reserve chairman fueled views that the U.S. central bank would raise rates four times this year rather than three. A stronger dollar makes dollar-priced gold costlier for investors using other currencies, while higher U.S. interest rates make non-yielding gold less attractive. Gold-backed ETFs in Europe lost 7.3 tonnes, worth $237.1 million. This was a 0.6 percent loss of total assets under management. North America still led the pack with total assets under management in February worth $53.4 billion. Europe had $42.4 billion, while Asia had $3.8 billion. After losing 5.1 tonnes valued at $143.2 million, global gold-backed ETFs collectively held 2,393.4 tonnes worth $101.4 billion by the end of February. In January, North American gold-backed ETFs added more tonnes than those of Asia and Europe combined, accounting for more than half of global net inflows, the World Gold Council said last month. The spike then was a function of gold prices extending their late-2017 rally into January on the back of a weak greenback. Gold prices had increased close to four percent in January.